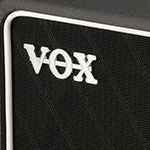 Vox Guitar Amps are what the company are most notably known for. The AC30 and AC15 gained huge popularity in the mid-sixties when they became highly popular within the British Rock scene. 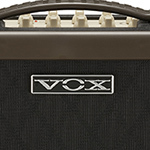 AC-VT20X Since it appeared in 2001, VOXs Valvetronix series has continued its distinctive evolution, fusing sophisticated modeling technology with the unique Valve Reactor circuit, which reproduces the tone and feel of a valve power amp. Now in 2015, the new Valvetronix VTX Series is here featuring a brand new modeling engine and an incredible valve tone that sounds better than ever! AC-VT40X Since it appeared in 2001, VOXs Valvetronix series has continued its distinctive evolution, fusing sophisticated modeling technology with the unique Valve Reactor circuit, which reproduces the tone and feel of a valve power amp. Now in 2015, the new Valvetronix VTX Series is here featuring a brand new modeling engine and an incredible valve tone that sounds better than ever! 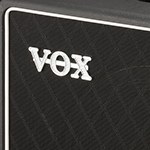 AC-VOXVX-II Redefining the guitar amplifier as you know it, using advanced modelling technology Vox have created something which can capture that magic classic amp tones. 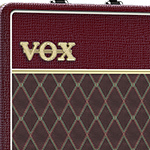 AC-AC30C2MB Th Iconic Vox AC30C2 is now available in this stunning limited edition Maroon Bronco finish! 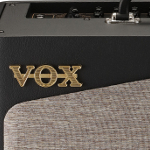 AC-AC15C1RF An amp firmly in the spotlight since The Beatles used them in the 1960s, the Vox AC15C1 is an all valve guitar amp that has been widely used by generations of musicians since for its sound quality and versatility. AC-VT100X Since it appeared in 2001, VOXs Valvetronix series has continued its distinctive evolution, fusing sophisticated modeling technology with the unique Valve Reactor circuit, which reproduces the tone and feel of a valve power amp. Now in 2015, the new Valvetronix VTX Series is here featuring a brand new modeling engine and an incredible valve tone that sounds better than ever! 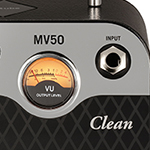 AC-MV50CLN The Vox MV50 Clean has an analog pre-amp featuring the revolutionary Nutube Technology. AC-BC108 The Vox BC108 Black series Cabinet is a specially designed Cabinet for the New MV50 amplifier series voiced to give a much larger tone than the typical 8" Cabinet. AC-MV50ROCK The Vox MV50 Rock has an analog pre-amp featuring the revolutionary Nutube Technology. AC-BC112 The Vox BC112 Black series Cabinet is a specially designed Cabinet for the New MV50 amplifier series voiced to give a much larger tone than the typical 1 x 12" Cabinet. 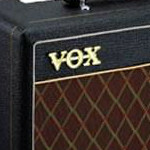 AC-AMPHONES-AC30 The Vox amPhones plug directly into your guitar for great tone without disturbing the neighbours! 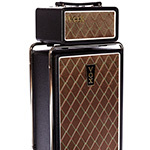 AC-AC15C1 An amp firmly in the spotlight since The Beatles used them in the 1960s, the Vox AC15C1 is an all valve guitar amp that has been widely used by generations of musicians since for its sound quality and versatility. 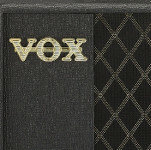 AC-AC4C112 Among the various VOX tube amps, the AC4 has remained one of the most popular over the years. Now fitted with a 12 Inch Celestion CX12 Speaker! 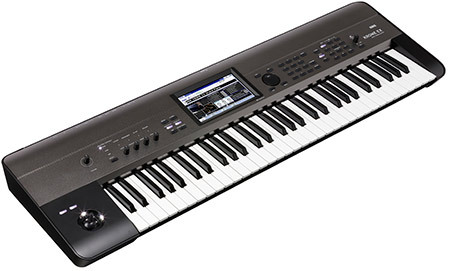 AC-VX50GTV The Brand New Vox VX50-GTV is the latest technological advancement with guitar modelling. Super lightweight and portable, finance and part exchange available. Give us a call or pop in store for anymore information. 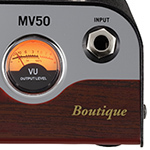 AC-MV50AC The Vox MV50 AC Model has an analog pre-amp featuring the revolutionary Nutube Technology. AC-VX15GT The Brand new Vox VX15GT 15w Modeling amplifier, is lightweight yet powerful and solid. Order Now, give us a call or pop in store for anymore information. AC-VX50BA The new Vox VX50BA is a Nutube-equipped compact vacuum tube bass amp with 50W of high output power, a lightweight design and striking looks. AC-MSB25UJ The Vox Mini SuperBeetle Union Jack oozes British heritage, Finance and part exchange available, give us a call or pop in store for anymore information. 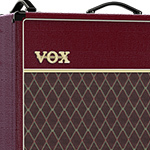 AC-AC10C1MB The Classic Vox AC10C1 we all know and love is now available in a Limited Edition Maroon Bronco. 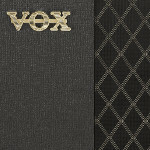 AC-AC15C1G12C The brand new Vox AC15C1 Limited Edition with the Warehouse G12C Speaker fitted. Order Now or give us a call or pop in store for any more information. AC-MSB25 With an iconic 60s look to it the new Vox Mini SuperBeetle is no toy, with 25w of NuTube power you can achieve those classy vintage tones with ease. Give us a call or pop in store for anymore information. AC-AC15C1MB The Classic AC15C1 we all know and love is now available in this stunning Maroon Bronco finish for a limited time! AC-MVX150H VOX is proud to announce the arrival of its new flagship amps equipped with Nutube, the next-generation vacuum tube. 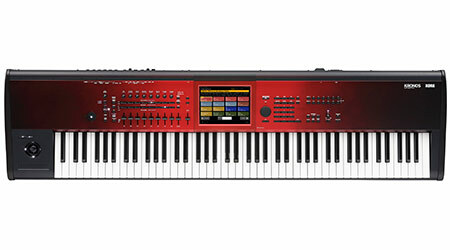 The lineup consists of two models: the MVX150C1 combo amp and the MVX150H amp head. 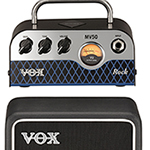 AC-MV50HG The Vox MV50 Rock has an analog pre-amp featuring the revolutionary Nutube Technology. 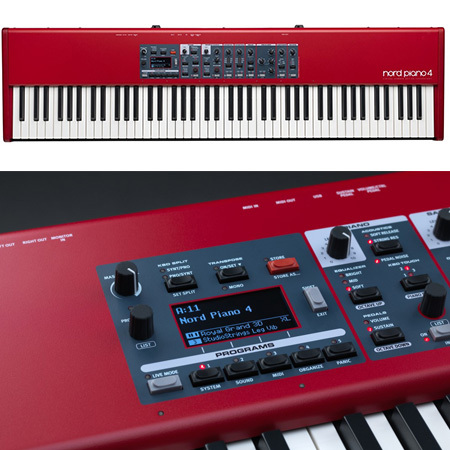 Now with the addition of the High Gain and Boutique models you can get any tone you like in the palm of your hand. 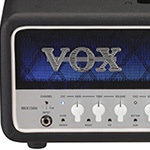 AC-MV50B The Vox MV50 Rock has an analog pre-amp featuring the revolutionary Nutube Technology. Now with the addition of the High Gain and Boutique models you can get any tone you like in the palm of your hand. 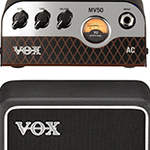 AC-MINI5RHYTHM The Vox MINI5 Rhythm guitar amplifier is ideal for practice on the go with built in rhythms and tones you can plug in a play anywhere. 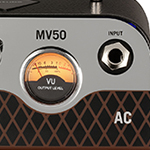 AC-MV50ACSET The Vox MV50 AC has an analog pre-amp featuring the revolutionary Nutube Technology. Paired with the BC108 8" Cabinet you get a massive sound for the money and size. AC-NT15H The Vox Night Train NT-15H 15 Watt Head is solid enough to inspire confidence, weighing less than 8kg with an armoured chrome mirror lunchbox design for serious portability. 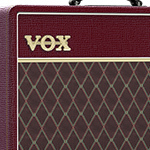 AC-AC30C2 The Vox AC30C2 Custom Series Combo all valve guitar amp has been an icon for decades, well known as the sound that powered the 60s! 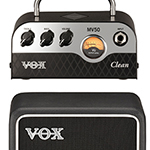 AC-MV50CLNSET The Vox MV50 Clean has an analog pre-amp featuring the revolutionary Nutube Technology. Paired with the BC108 8" Cabinet you get a massive sound for the money and size. 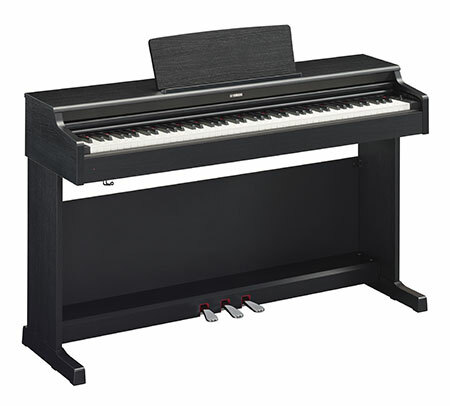 AC-AC15C2 Launched at Summer Namm 2011, The AC15C2 is based on the classic AC15 model but comes with 2 greenback speakers. AC-AC4C1TVBC An all-tube mini combo amp with the legendary Top Boost tone of the AC30, this Limited Edition two-tone cabinet AC4C1 exudes class in all areas. AC-AMPHONESBASS The VOX amPlug Series of palm-sized headphone guitar amplifiers enables musicians to easily plug their amPlug into any guitar, and attach a pair of headphones to achieve high quality guitar sounds anywhere. AC-AMPHONES-LD The VOX amPlug Series of palm-sized headphone guitar amplifiers enables musicians to easily plug their amPlug into any guitar, and attach a pair of headphones to achieve high quality guitar sounds anywhere. 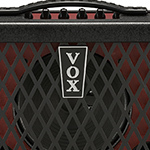 AC-VOXVX-I Redefining the guitar amplifier as you know it, using advanced modelling technology Vox have created something which can capture that magic classic amp tones. AC-PF10 The Perfect easy to use, yet simple beginners guitar amplifier. 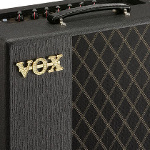 AC-AC30VR Vox AC30VR Valve Reactor Guitar Amp Equipped with 2 custom Celestion Speakers. 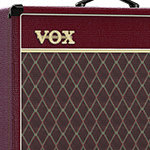 The AC30VR features unique circuitry for a valve amp sound in a solid-state amplifier. 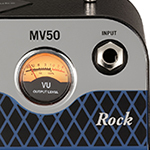 AC-MV50ROCKSET The Vox MV50 Rock has an analog pre-amp featuring the revolutionary Nutube Technology. Paired with the BC108 8" Cabinet you get a massive sound for the money and size. 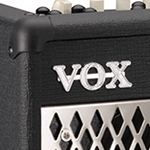 AC-AGA70 The Vox AGA70 is a 70-watt, 2 channel acoustic amplifier with a difference: tube technology! 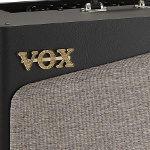 Today the AC30 is still as relevant and popular as ever, but Vox also currently manufacture the hugely popular Valvetronix series that includes the VT15 and VT50 models. 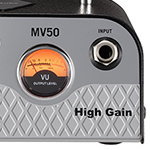 As well as possessing an impressive amp and practice amp range, Vox also manufacture a great range effects pedals (including the Satriani series), headphone amps and guitarist recording interfaces.